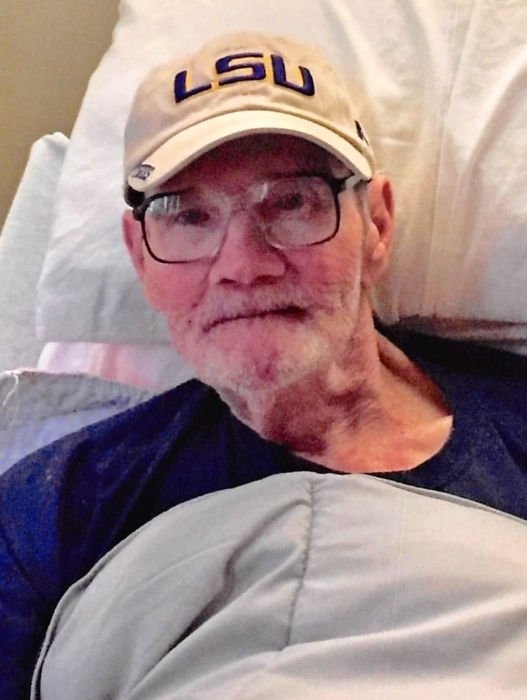 Mr. Frank Dan Loper, 77, of Butler, AL passed from this life Wednesday, February 13, 2019 at Willow Trace Nursing Center in Butler. He was born in Enterprise, MS on Friday, November 28, 1941 to Harbert Virgil Loper and Clara Gertie Dooley Loper. He had worked in the Oil Field as a Toolpusher. Mr. Loper preceded in death by his father, Harbert Virgil Loper and mother, Clara Gertie Dooley Loper; 5 brothers and 4 sisters. He is survived by his daughter, Michele Morrison (Johnny); step-daughter, Barbara Gail Lee; step-son, Norman Sampson Morrison; nepher, Chris Robertson; 2 nieces, Audrey Harvey, Donna Giest; grandchildren, Roy Dale Butler, Angela Gail Butler, Victoria Campbell, Rebecca Ammonet, Ray Morrison, Jason Morrison, Amanda Morrison, Kerri Denise Eaton, Jessica Goff; great grandchildren, Katlyn Jones, Eli Goff, Barrett Goff. Visitation for Mr. Loper will be held from 11:00 AM to 12:00 PM, Saturday, February 16, 2019 at Freeman Funeral Home, Waynesboro, MS. A Graveside Services will be held at 12:30 PM Saturday, February 16, 2019 at Corinth Cemetery with Rev. David Thomas officiating. Interment will be in Corinth Cemetery.